Strap this onto your waist and use both hands to pick up shells from the waterline or trash from the sea floor. This 8"x9" nylon zippered pouch has a mesh bottom to drain water. Fill this pouch with shells or use it as a shoulder bag for your wallet and sunscreen. 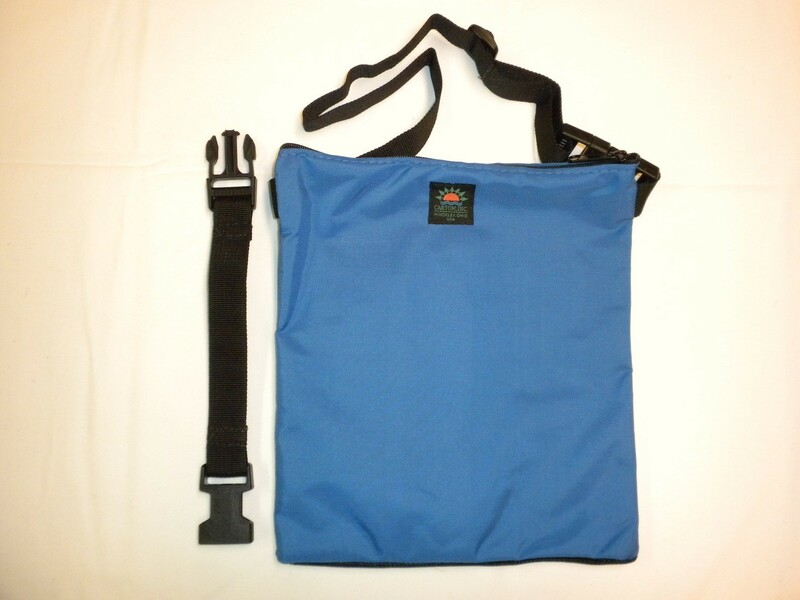 Use the adjustable strap around your waist or over your shoulder and includes a 10" extension strap. Great in the canoe, kayak, boat, or while snorkling or scuba diving!